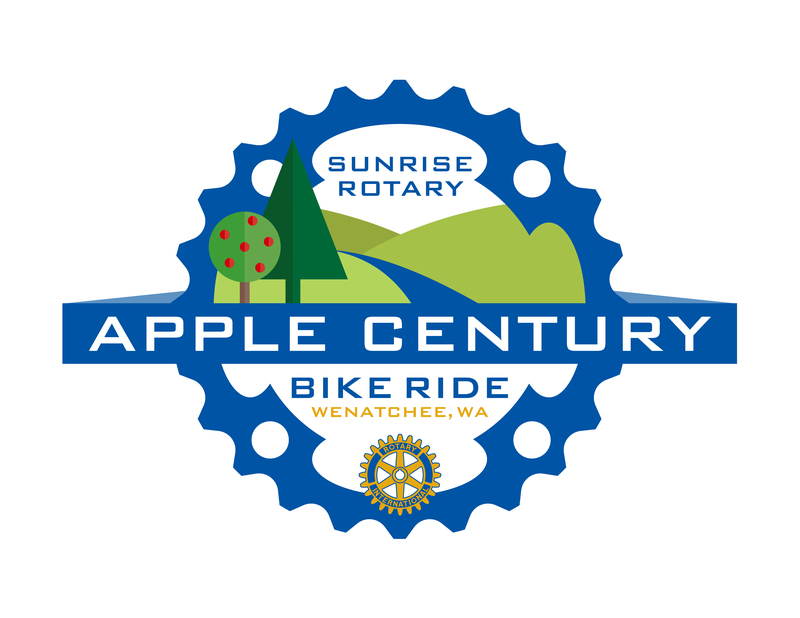 The Apple Century Bike Ride will start in Wenatchee at Walla Walla Point Park, then follow along the scenic Wenatchee River as it winds through Monitor, Cashmere, Dryden and Peshastin until you reach Leavenworth. 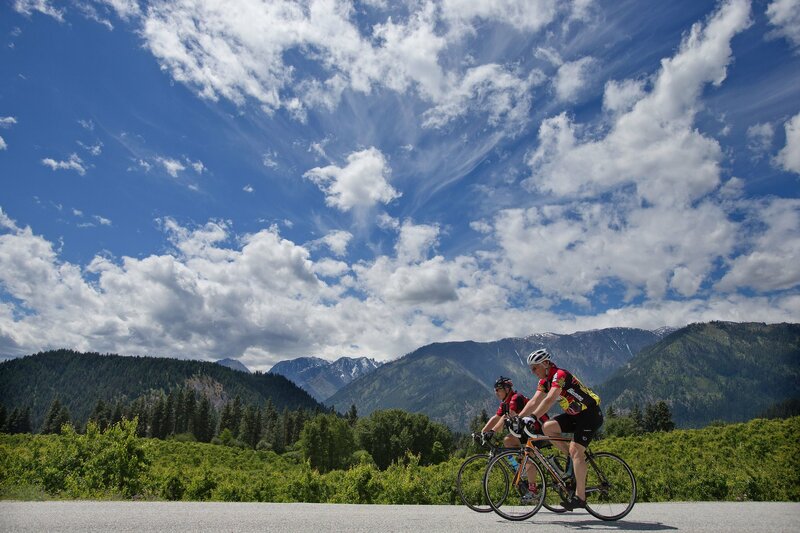 The 100-milers will continue on, to the Lake Wenatchee Fire Staton where they will turn around for the trip back to Walla Walla Point Park. 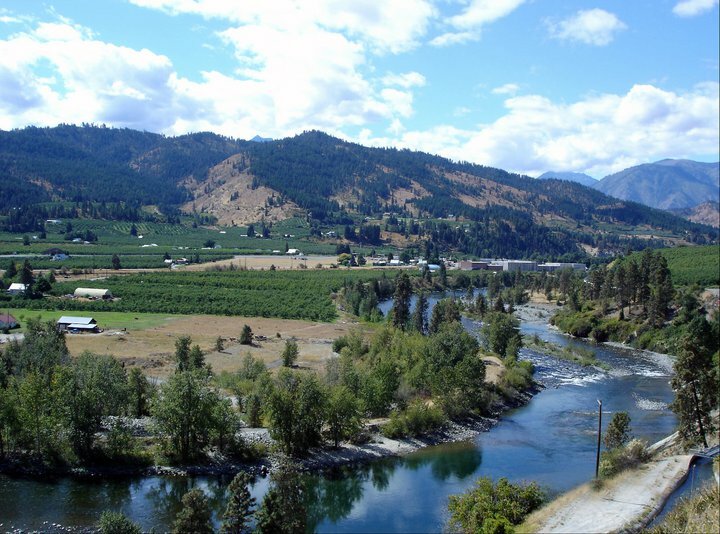 Scenery includes high sage desert, lush orchards and vineyards, cool and clear river valleys, and tall ponderosa pine forests. Fees: $75 ea. through 11:59 PM PST 5/29/16 & $80 ea. thereafter via active.com (no shirt after 5/29). $90 Day-of. Wenatchee's Walla Walla Point Park; 1351 Walla Walla Ave. Finish Line Festival: Enjoy a free relaxing meal at the Finish Line Fest with music and a no-host beer garden. 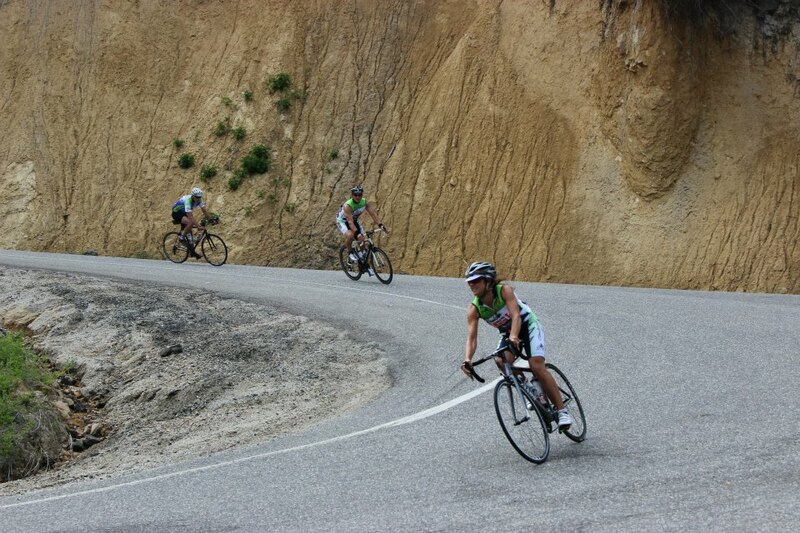 Ride Support: This is an open road ride. 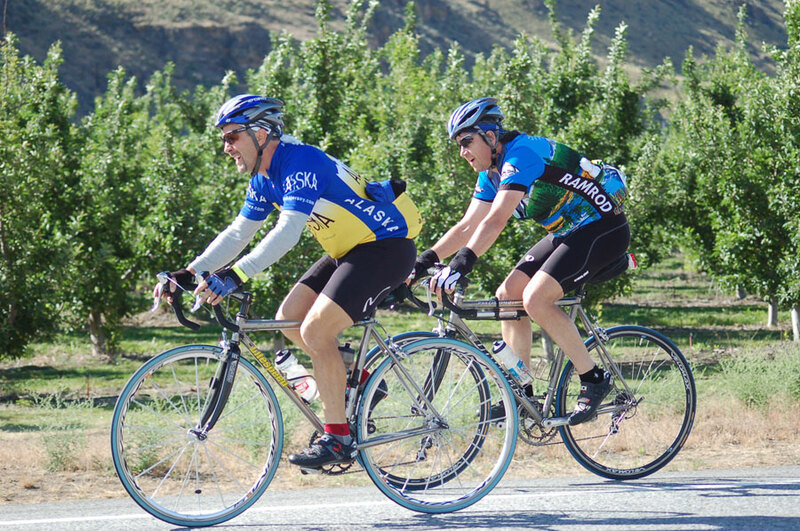 Rotarian volunteers and local bike shop mobile mechanics monitor routes. Mechanics will be on hand to make minor repairs (bring your checkbook if parts are needed). Please have your bikes tuned up beforehand. 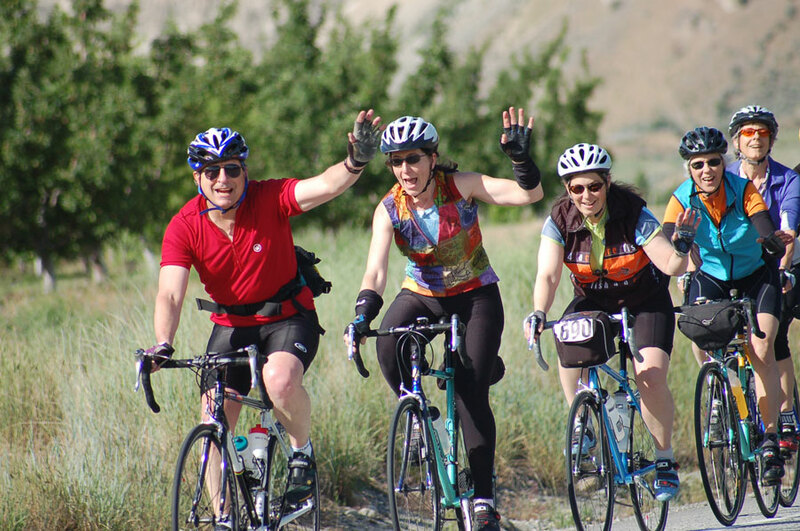 Packet Pickup and Late Registration: Packet pickup and late registration will take place on June 3rd from 5 p.m.-8 p.m. at Cycle Central, 34 N. Wenatchee Ave., or on the morning of the ride beginning at 6 a.m. at Walla Walla Pt. 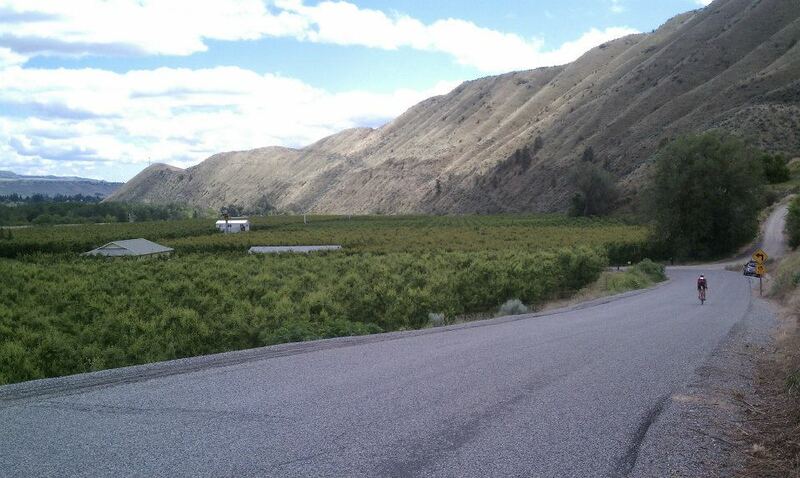 Park in Wenatchee (the starting point for the ride). 2015-Shirt Availability: T-shirts will be included with all pre-registrants on or before 5/29/16. Only pre-registrants registered by this date will receive the complimentary t-shirt this year. No other shirts will be provided. You will receive the shirt size that you select during registration. Sizing is unisex and shirts are 100% cotton. Shirts are ordered based on registration data and no exchange of size will be available. Ride Day Start Times: Ride day start time is 7 a.m. Riders may leave earlier but pit stop and ride support may not be available. Safety First: All riders must wear an ANSI or Snell-approved helmet. Please remember to obey all traffic laws.